But now, we can access the water point at any time of the day since it is near our homes. The Village Health Team (VHT) confirmed to me that the levels of diarrhea disease decreased drastically after the water point was commissioned. 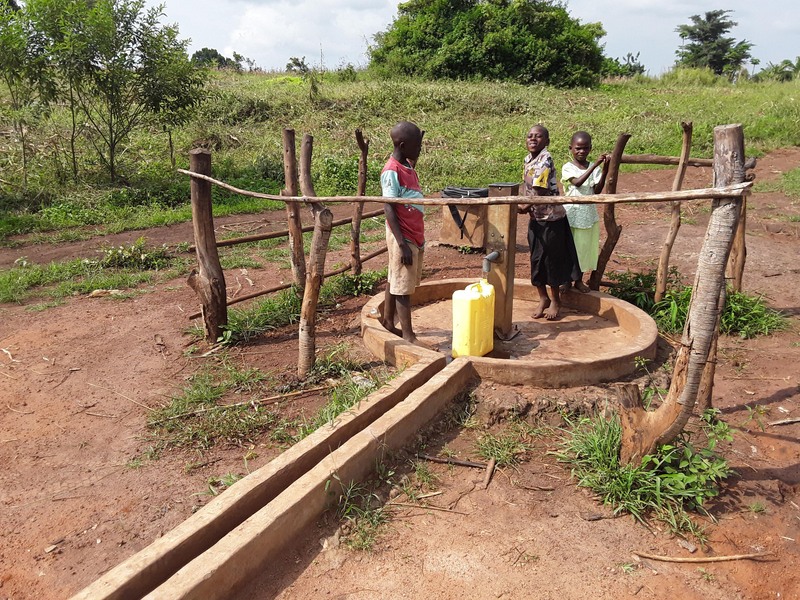 A year ago, generous donors helped install a well with Kitanyata-Kyawako Community in Uganda. Because of these gifts and contributions from our monthly donors, partners can visit project sites throughout the year, strengthening relationships with communities and evaluating the actual water project. These consistent visits allow us to learn vital lessons and hear amazing stories – we’re excited to share this one from our partners, Simon Mugume and Geoffrey Kusemererwa, with you. With a catchment population of 30 households, this area was certified Open Defecation Free (ODF) with 100% latrine coverage on October 10, 2016. We walked beside this community as they conducted their own appraisal and analysis of open defecation and took action. Natural leaders were born as they took up the gauntlet in encouraging their neighbors to build latrines. Officer Simon speaking with Benard about community life since the project last year. We met Mr. Benard Murungi at the water point to talk about other changes he’s witnessed over the past year. “Before this water point, there were two cases reported of snake bites as the people were drawing water from the open water source. The parents would prevent their children from going to the water point alone in fear of being attacked by the reptiles. But now, we can access the water point at any time of the day since it is near our homes. 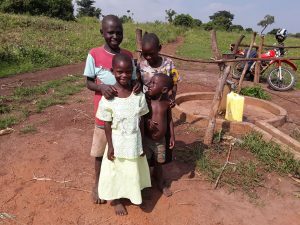 The children who came to fetch clean water from the well. Children gathered round as we conducted our interview. 13-year-old Nicholas said that the water doesn’t smell like what he used to drink. 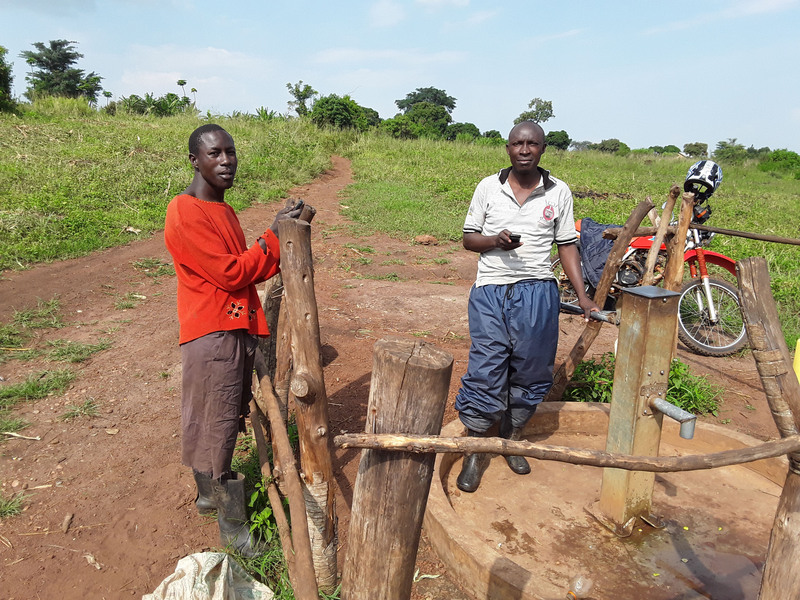 He said, “the water is safe to drink even if it isn’t boiled, and you won’t get any stomach problems.” Sharon also came by to fetch water for her family. She said she “doesn’t have to walk long distances, since this water point is nearer.” She said she used to walk 30 minutes to the old source, but now it only takes 10 minutes. When you invest in The Water Project, you're investing in people like Benard Murungi. Your gifts help us reach more communities with the gift of clean, safe water. And every drop helps unlock potential.